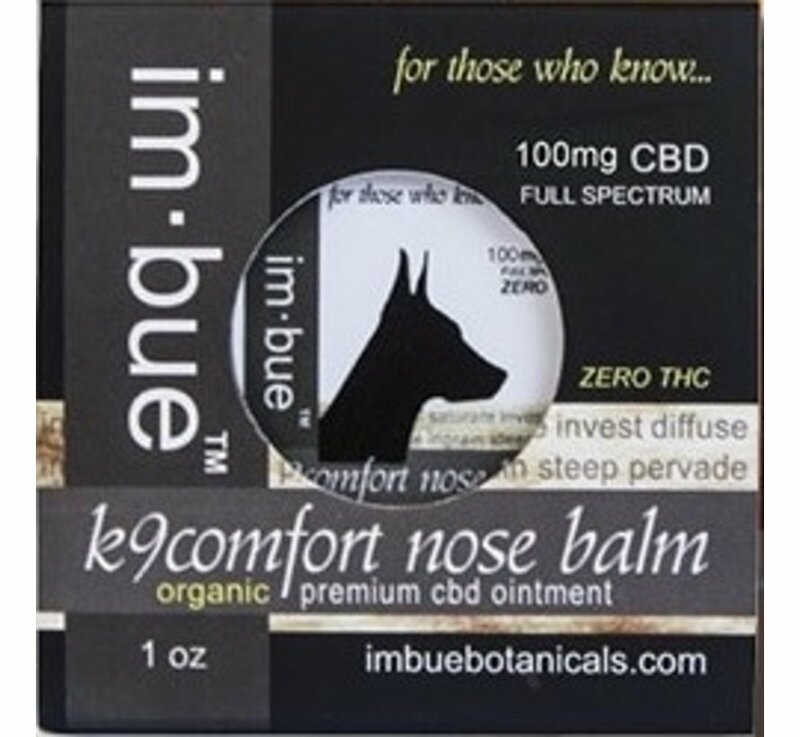 IM-BUE k9comfort nose balm 100mg - 1 oz. Dry, scaly, chapped noses can be a real problem in many dog breeds. 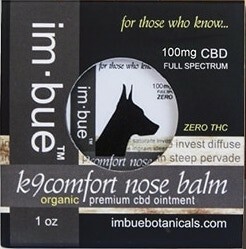 This K9 Comfort Nose Balm is specifically formulated to provide soothing relief for your canine companion. 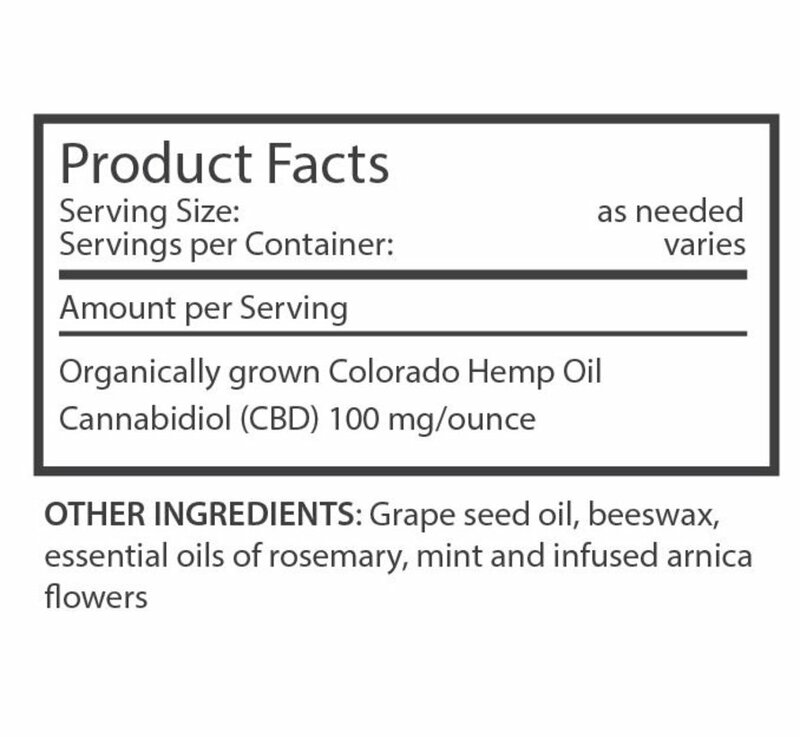 This organic premium CBD ointment also contains essential oils of rosemary, mint and infused arnica flowers to help soothe and moisturize while providing your best friend the relief they need. 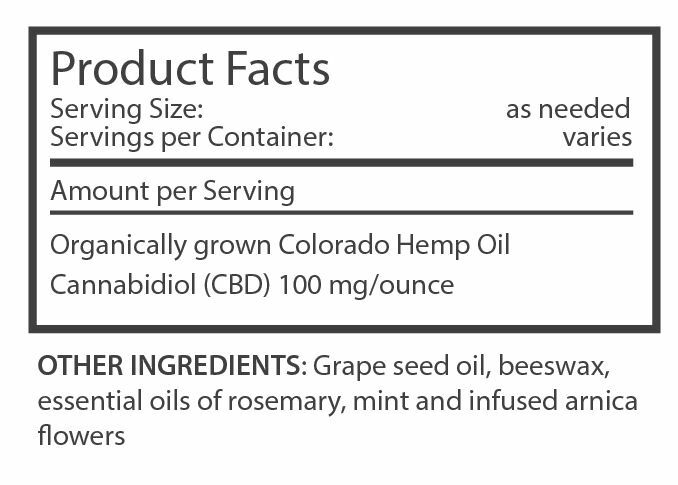 Packaged in a convenient screw top tin.